I usually travel to my destinations via bus, train or flights. Occasionally a boat but that's been a very long time. We don't drive so public transport is something we rely on. 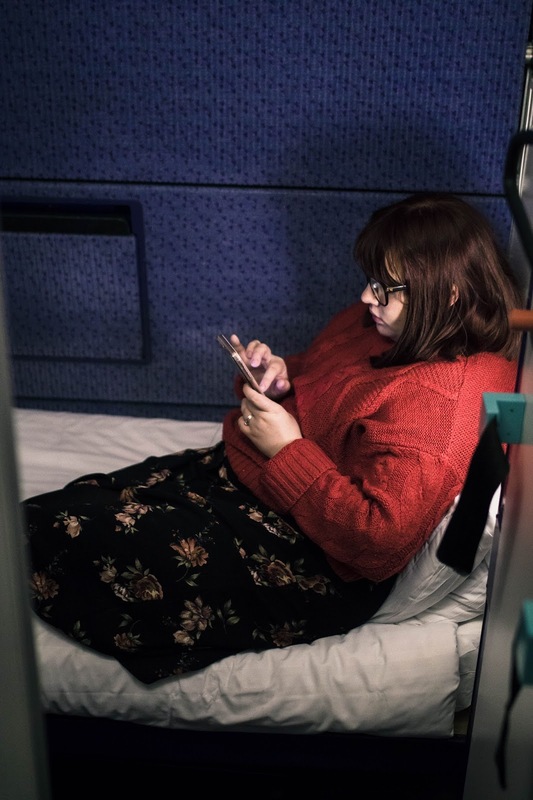 When planning our trip to Edinburgh I was very interested in travelling via to Caledonian sleeper. Mel and Sara-Jayne travelled via the sleeper to our Inverness bloggers retreat and loved it and I thought it would be a really fun way to travel. It reminded me of the polar express and all I wanted to do was ask for hot chocolate and sing about Christmas. What I found most wonderful was that we departed around midnight on March 8th (my birthday) and woke up at 6am for breakfast and we were in Scotland. 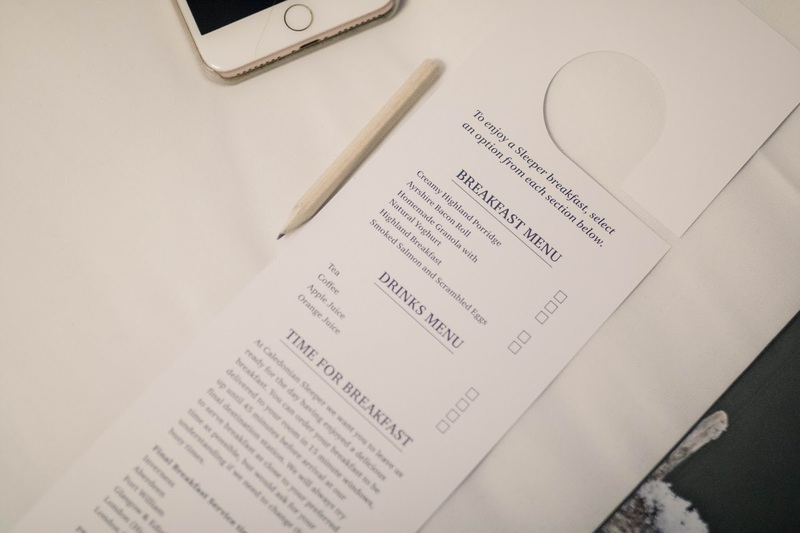 Looking out the window at the snowy view of the Scottish countryside and to a yummy breakfast delivery was amazing. I sat on the shelf next to the window and watched the world go by as I drank my coffee and ate my roll and chatted to Brad in the privacy of our own cabin. 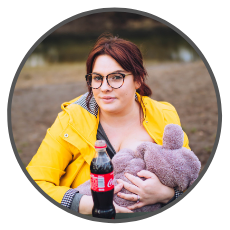 I adored just watching the world go by and I just loved seeing the beautiful countryside which was lovely and a different feel to just seeing clouds from above. The customer service on the train was amazing too. The way we were treated felt like I was royalty. They were so kind, so on the ball and went above and beyond to place us into joining rooms which was perfect. 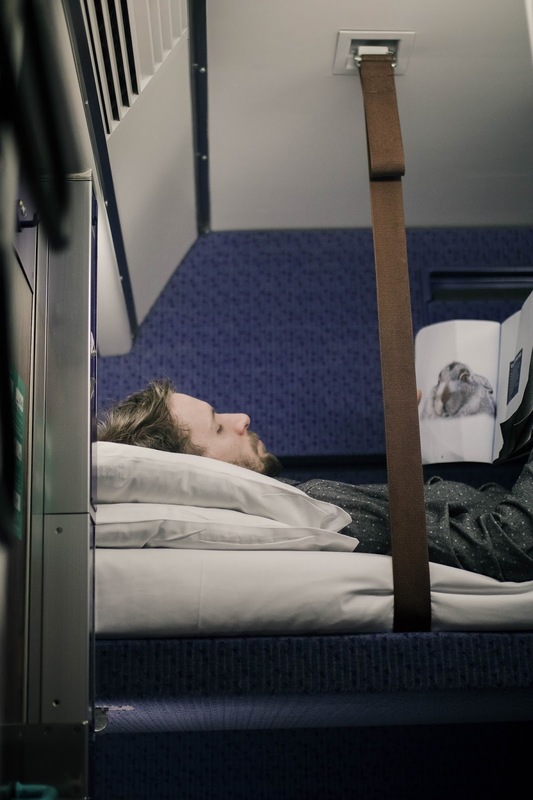 The rooms are either singles in first class or bunk beds in the standard class. 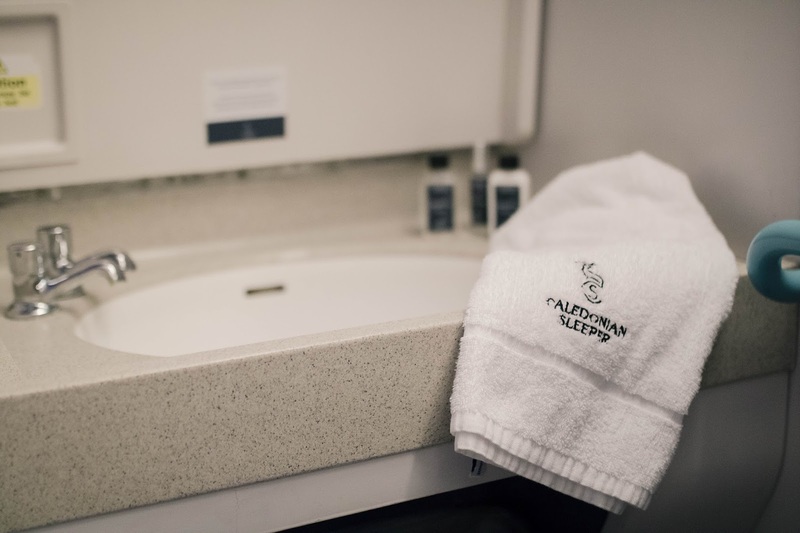 I loved the fact that we had a sink in the room too which was perfect for washing my face, performing my evening skin care routine and brushing my teeth. This is important as you wanted to feel like you were in a home away from home and apart from sharing a toilet you absolutely felt that way. 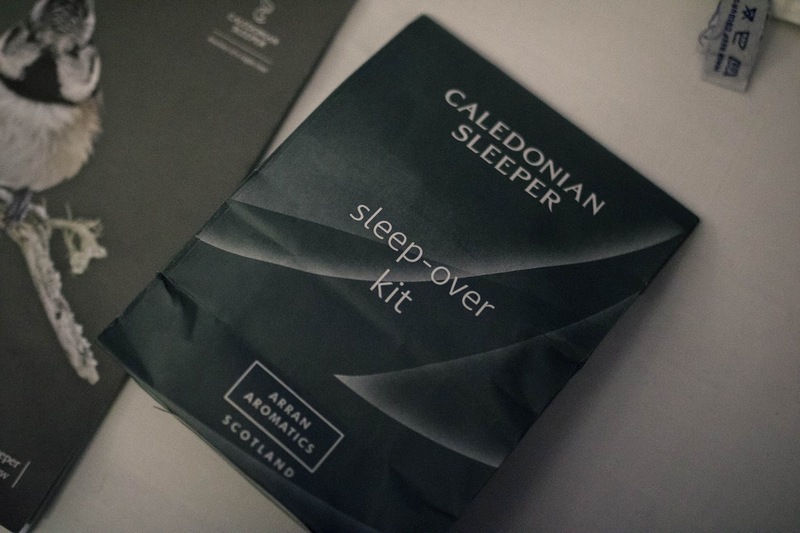 The beds were super comfortable and we even got a 'Caledonian sleeper sleepkit' which had eye masks, ear plugs, a flannel, travel sized toiletries and even a lavender sleep spray which was what ticked the box for me. It was such a thoughtful little extra and I still have some left which I spray on my pillows and it reminds me of our Scotland trip and also helps me sleep. 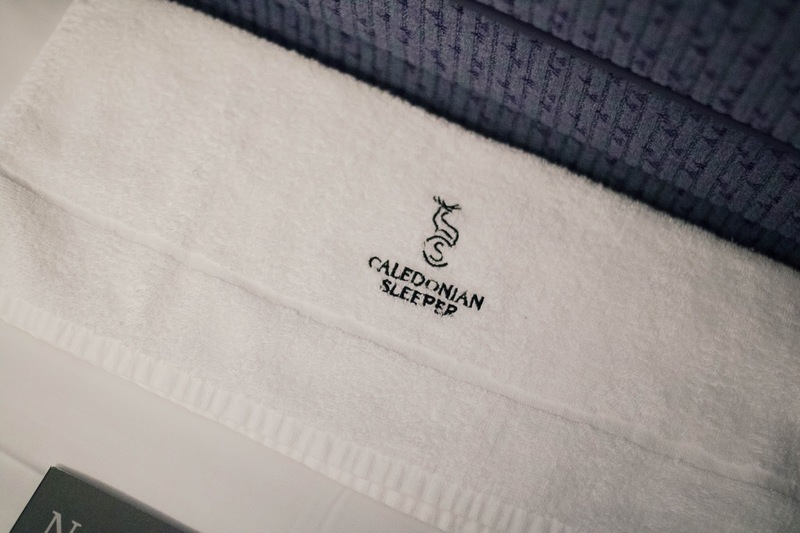 What I loved the most about travelling by Caledonian sleeper was the fact we had 3 nights away and two completely full days in Edinburgh. We booked one night in a hotel and due to arriving at 7am and departing at 23:40pm we got to explore the whole day before resting our head in a hotel in the evening and then had a late dinner at 21:00 before picking up our bags from the hotel and making our way to Waverly station before boarding just after 11pm! We wouldn't have had the same amount of time in Edinburgh if we'd have flown without booking an extra night in a hotel - which is an adding more money to your trip for a hotel and food. The beds were so comfortable and the duvets were crisp and clean and it gave me that feeling of getting into clean pyjamas and fresh sheets and basically it felt like a hotel on wheels and thats all I could have asked for. Then to wake up to a knock at the door to a lovely tasty breakfast and opening the blind to the most stunning view was the best feeling on my birthday and the saddest on the way back (only because I didn't want to be arriving home). 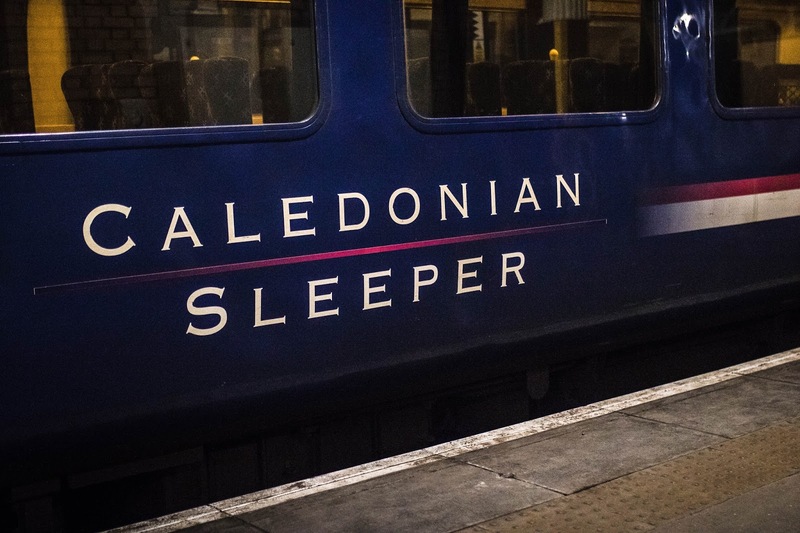 The most important question is would I travel with Caledonian sleeper again? Yes, absolutely, no doubt about it. Any trips to Scotland I plan with the kids, a trip with friends or just a romantic trip. Thank you to Caledonian sleeper for accommodating Brad and I on my "birthday mini moon" it was wonderful. All words and opinions are my own and honest and we loved everything about it. - We were given complimentary tickets for the Caledonian sleeper in return for the blog post.